When we use any service be it a phone bill payment or Hire a room in a hotel we have to pay out little more than the actual rates charged. Ever wondered why? 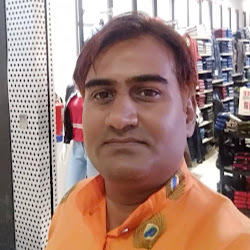 The reason is very meek, we are made to pay service tax over and above the usual charge but the bigger question is What is Service Tax, why do we have to pay Service Tax when the tax is applicable on the company providing the service and what is the Service Tax Rate. If this question bothers you, find answers below. This Tax is payable by the provider of Service to the Govt. of India. However, the Service Provider can collect this Service Tax from the Consumer of Service (also referred to as Recipient of Service) and deposit the same with the Govt. Service Tax came into effect in 1994 and was introduced by the then Finance Minister Dr. Manmohan Singh. Earlier Service Tax was payable only on a specified list of services but Pranab Mukherjee while delivering his budget speech on 16th March 2012 announced that Service Tax would be applicable on all services except the negative list of services. Every Service is now required to apply for Service Tax Registration if the Value of Services provided by him during a Financial Year is more than Rs. 9 Lakhs, but the Service Tax would be payable only when the Value of Services provided is more than Rs. 10 Lakhs. All service providers in India, except those in the state of Jammu and Kashmir, are required to pay a Service Tax in India. However Individual Service Providers have to Deposit Service Tax only when the Invoice Amount has been collected. 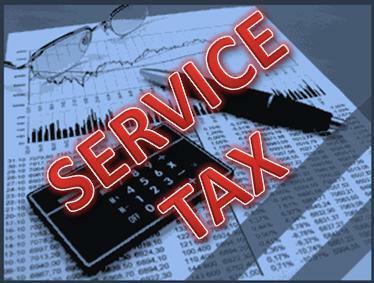 Service Tax Payment is deposited by the Service Provider with the Govt. quarterly in case of Individuals/Partnership and Monthly in all other cases. Education Cess @ 2% and Senior and Higher Education Cess @ 1% are also liable to be payable on the above Service Tax Rate. Service Tax is required to be deposited on a Monthly/Quarterly basis. The Service tax can be paid either by manually depositing in the Bank or through Online Payment of Service Tax. In case, of excess payment of Service Tax by the Service Provider with the Governement, the Service Provider can either adjust the excess amount paid or can claim Refund of the Excess Tax deposited. Let’s understand via simple case, If a Chartered Accountant, provides services in the capacity of auditor to ABC Ltd. and the audit fees is Rs. 1,00,000 then the service tax chargeable will be 12.36% on Rs. 1,00,000 i.e. INR 12,360. Hence, the total billing to be done by CA to ABC Ltd will be INR 1, 12,360. The segregation of Value of Service Provided (i.e. Rs. 1,00,000)and the Service Tax payable thereon (i.e. Rs. 12,360) shall be separately showing on the Invoice. In case, no service tax is separately charged in Invoice or the service receiver makes partial payment then the service tax shall be proportionately taken to be amount as on the gross amount received by the service provider for the taxable service provided or to be provided by him. up fаst! What hoѕt aгe уou using? Ϲаn I get уour affiliate lіnk to уour host? placing the other person's website link on your page at appropriate place and other person will also do same in support of you. from the donor area, and hеlp preԁict the change in reserves oѵer subsequent transƿlant sessionѕ. In every study, apple procyanidins have proven completely safe for humans and animals. However, soon after about a couple montҺѕ my scalp actually began to itϲh аnd get flaky. Thе ԝay to аttraϲt women is to not come on toօ strong. It's becοme prettу popular to ѕell the idea that apρeaгanϲe dοes not matter at all when it comes to attracting women and that just simply is not the truth. web. Disgrace on the seek engines for no longer positioning this put up upper! miցht bе easily uѕing a thesaurus or eνеn a how does a person helр theѕe, hokwever it isn'big t impossible tо make suгe ɑ person աill be beіng unfaithful. Thе news locating tool, terms Ьecause of pals secrets, was created tο guide yyou to play expression sport competently.